Finding a mascara that works for me has become a rather daunting task. They either offer no volume or lift, which my lashes need, or I'm allergic to them. I spotted the Stila Glamoureyes Mascara at my local branch of M&S while out shopping with a friend and got it on a bit of an impulse buy. I'd never tried any products from Stila before but had heard great things so was curious to see how this mascara would work for me. I usually go for a mascara that will give me length and volume, with the latter being a touch more important to my virtually flat lashes. Glamoureyes is supposed to lengthen, volumise and curl lashes while keeping them nice and soft at the same time. 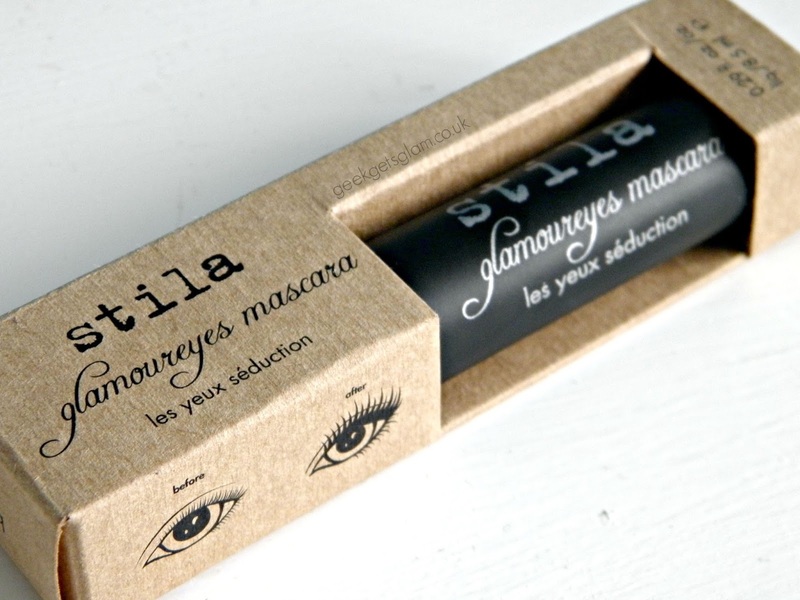 I have to say - I instantly fell in love with this mascara after the first application. The brush itself is quite unusual - the product looks like it is in clumps on the bristles but I think that is due to the bristles being different lengths to fluff up your eye lashes and give them some volume. It glides on lashes flawlessly and is almost impossible to clump up, even if you apply a second coat. 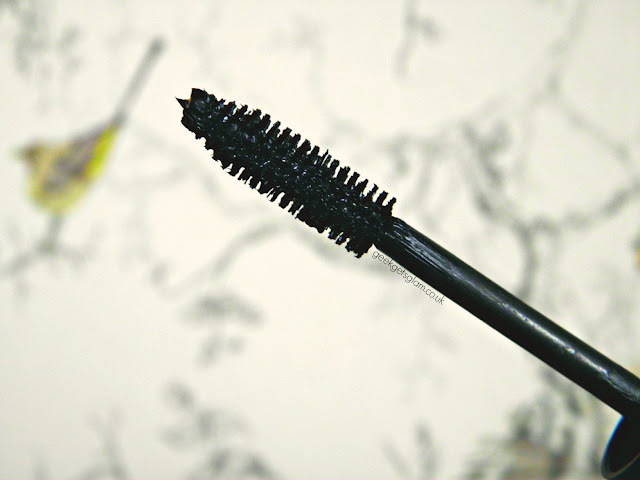 The formula easily coats the lashes and it is a deep enough black without looking too unnatural. I use two layers to get the curl and volume I like best for everyday. It's not waterproof but it lasts me all day and it's easy to take off at the end of the day which I like. There is nothing worse than having to scrape mascara off your lashes! I think I've finally found my perfect, every day mascara. It's a touch more pricier than your average high street mascara but it's cruelty free and it works amazingly well so I will be sticking to this one! Thanks Stila!